Fiskars KNIFE ShapeExpress2 05986 at Simon Says STAMP! 05986 This item is on reserve until If you would like to reserve this item now, you may purchase it now with the rest of your order. We will hold your order now and ship your entire order as soon as this item is back into stock. If you would like your order to ship now, please place this item on a separate order. 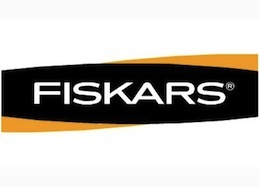 Success, Fiskars KNIFE ShapeExpress2 05986 has been shared! Designed to create flawless shapes, the knife works seamlessly with coordinating Fiskars templates to cut precise or expert shapes of varying sizes, quickly and conveniently. The blade fits snugly on the track and glides easily, leaving smooth edges on everyday crafting materials like cardstock and photos. The ergonomic handle features Softgrip for added comfort and control. The handle swivels and rotates through curves and tight turns so you don't have to twist your hand or wrist. There's no need to reposition your project. A bonus heavy-duty Swivel Detail Knife is included for easy freehand cutting.